People for the Ethical Treatment of the Animals (PETA) has called for TV and film safety rules to be tightened after two horses were put down during filming for HBO drama Luck. The animals were injured in the making of the show starring Dustin Hoffman. PETA said it “repeatedly reached out” to HBO before filming to offer safety advice but was “rebuffed”. HBO, which worked with the American Humane Association, said both were “committed to ensuring all necessary safety procedures” were in place. 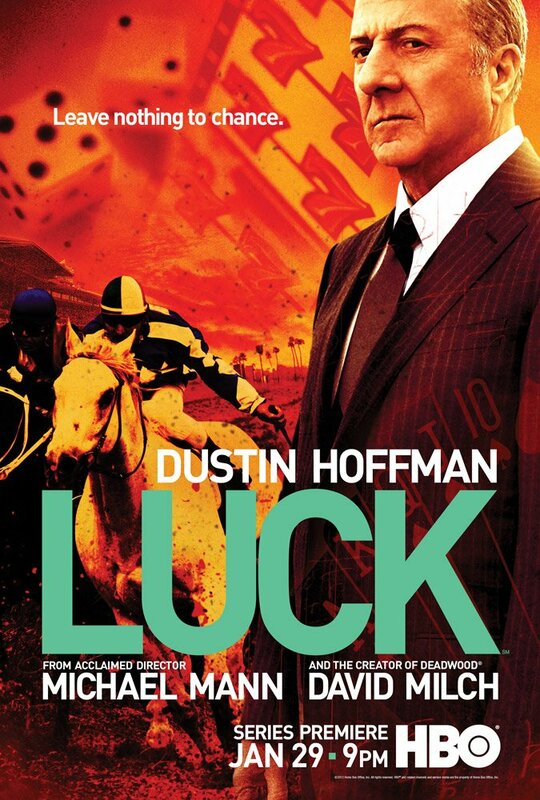 Luck, conceived by NYPD Blue creator David Milch, is billed as “a provocative look at the world of horse racing – the owners, gamblers, jockeys and diverse gaming industry players”. The AHA said in a statement that the fatal accidents had taken place several months apart – one during the filming of a pilot episode and another during the filming of the seventh show. AHA’s standard “no animals were harmed” statement was removed from the credits of both episodes. The AHA said both racehorses “stumbled and fell during short racing sequences”. “The horses were checked immediately afterwards by the onsite veterinarians and in each case a severe fracture deemed the condition inoperable,” it added. It listed a series of precautions taken including that each horse was “limited to three runs per day and was rested in between those runs”. In a statement released to the New York Observer, HBO said filming was suspended after the second accident “while the production worked with AHA and racing industry experts to adopt additional protocols specifically for horse racing sequences”. They included “the hiring of an additional veterinarian and radiography of the legs of all horses being used by the production”. It added that “two dead horses in a handful of episodes exemplify the dark side of using animals in television, movies, and ads”. It said it was now in discussions with HBO “about how to prevent even more deaths on the show”.